From day trips to circumnavigate this majestic mountain through France, Italy and Switzerland – Mont Blanc offers something for everyone. The Tour du Mont Blanc is certainly one of the most famous and spectacular hikes in Europe. The great mountain, at 15,536 ft. is the highest in Europe and dominates the region. 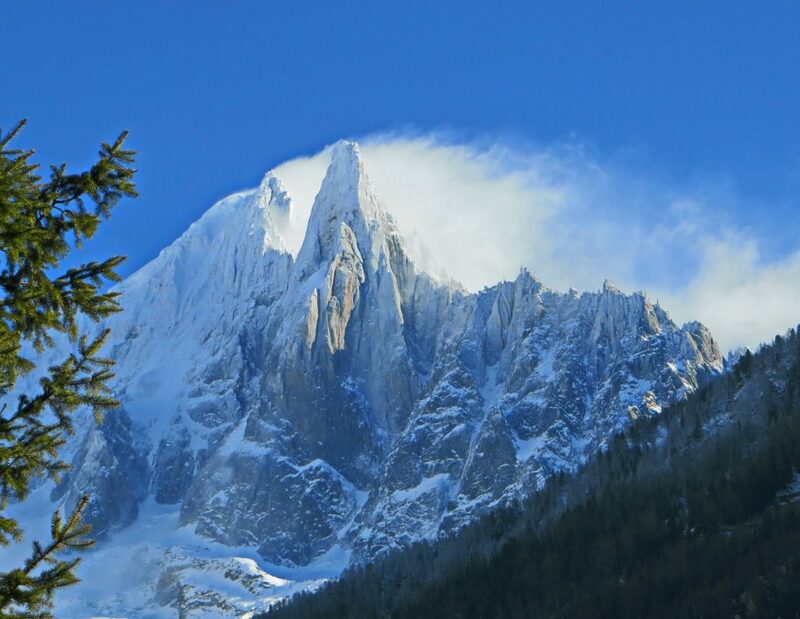 Mont Blanc has long been a prime destination for mountaineers, attracting hikers for hundreds of years. This hike is rich in cultural diversity as it traverses from the mountaineer village of Chamonix, France, into Italy, then Switzerland, and finally returns to France. Though it could be done in less time we are planning 2 weeks to allow participants to enjoy the richest mountaineering and cultural experience. Accommodations will be in a combination of small hotels and alpinists huts where possible. The hotels are, of necessity, not what could be termed “luxury” as they are in small mountain villages but will be clean and comfortable. The huts, or cabanes, as they are called in French, are dorm style with the meals simple and filling if not gourmet. Because many of the cabanes where we stay are isolated, some without road access, it is necessary for hikers to carry everything for the hike in a backpack. Packs, properly packed, will weigh less than twenty pounds. It is not necessary to carry food, bedding, or tents. Only normal day-hike items and a change of clothes are needed. Street clothes are checked at the first hotel in Chamonix and picked up at the end of the hike. Though the surrounding slopes and valleys of Mont Blanc offer many opportunities for technical climbing, our tour will restrict itself to the hiking trails so that, though demanding, will not require technical skills or special equipment. Experienced hikers in good condition should have no difficulty completing this tour.